The Super-Awesome Presentation Zone Program provides a framework for choreographing a business presentation to make it shine. When hiring a Grunt for a company using a Grunt Fund care must be taken to set expectations about compensation. It’s important that they understand how a Grunt Fund works and that they are not entitled to cash compensation. Click below to download a sample offer letter for a company using a Grunt Fund. I was passing out promises to deliver outerwear to my customers I had no idea what it took to design a new clothing product, let alone how to manufacturer it. Only a dynamic equity split provides a framework of fairness and respect for all participants. All other methods are prone to failure in their ability to treat people fairly. There are many things that can repel an investor. Most of them have to do with a faulty business model or lack of a competitive advantage. However, sometimes your business will have real potential but the investor will flee when they take a look under the covers and see how the business is organized or financed during the formation stage. The JOBS Act: Is it a Wolf in Sheep’s Clothing? If entrepreneurs are successful, they will have to issue actual equity to a bunch of absentee owners in small lots. These shareholders will now have to sign off on shareholders agreements, operating agreements, and a variety of other things that can make life pretty complicated and scare off real investors. Although a dynamic equity model is intrinsically fairer to participants, fixed equity splits will continue to be the norm because 1) dynamic models are a relatively new concept and 2) fixed models allow experienced entrepreneurs to take advantage of less experience entrepreneurs. "Slicing Pie, simply put, saved my company." -Evan Moon. 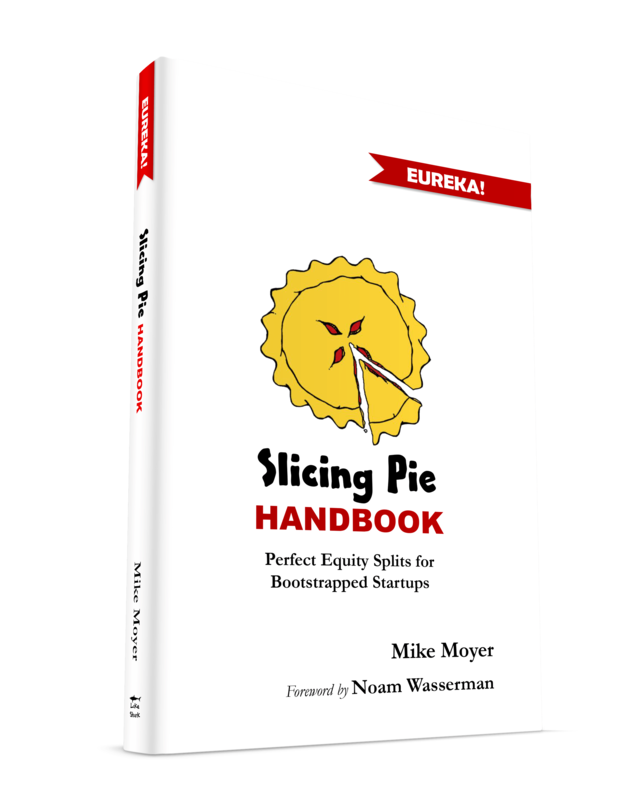 S﻿ubscribe﻿ to download a FREE Sample of Slicing Pie!